Whether you are trying to save for a family vacation, college tuition, or you just need to cut back on spending, there are many changes you can make throughout your home and your lifestyle to save some green this summer. Air conditioning is expensive, and anything that can cool down your home without the use of A/C is money saved. The best way to keep your home cool is to have constant airflow. Ceiling fans and box fans can help keep air moving without having to jack up the air conditioning. Placing fans in strategic areas throughout your home, such as near doorways and in open windows, can help replace the hot air with cooler, fresher air. Your doors and windows let out more A/C and heat per year than any other part of your house. A small investment now to upgrade your doors and windows throughout your house save tons later. According to a RetroTrack Window Mfg. Ltd. professional when windows and doors do not provide the proper amount of insulation, or allow for a draft via cracks or warping, you are allowing the outside temperature to affect your home. High quality, energy efficient replacements for older or faulty windows and Vancouver doors saves money, even if it requires a bit extra out of pocket in the beginning. One great way to save money is to cook meals at home, but that doesn’t mean giving up convenience. Make large batches of meals at the beginning of the week or month that can be reheated in the oven or microwave for breakfasts and lunches on the go. Casseroles, meats, and even home made frozen pizzas are great for quick and easy meals on those nights that you would normally be aching for the drive through. Freezer meals can even be saved for a few months without going bad. We all like to go out and buy those new pair of shoes, or that new tool kit right after a hard week at work, but this is counter productive. Find a hobby that you enjoy, but does not require you to spend your way to happiness. Fishing, hiking, volunteering, and getting involved with local clubs can provide inexpensive entertainment for the whole family. Whether you are looking for something just for yourself, or something that you can do with the kids, finding a cheap hobby will keep you out of the dangerous department stores when you are trying to save money. All of these tips are great ways for you and your family to save money this summer. Keep up on your spending and make a budget. 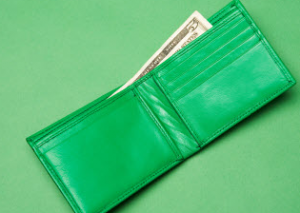 With a little common sense and cutting back you can easily keep more green in your wallet. For a more elaborate article, please read The Ultimate List of Hobbies for Men. We know that finding a hobby isn’t that easy as it seems. Here’s a big list of hobbies that will give you some inspiration and help you find one.